Nan asked about the willingness of an agent to accept writers who cross genres. 1. Think of those who will read your books. Most fiction readers stay within the lines of fiction and it’s also true with nonfiction readers. 2. When you sign with an agent you want to build your platform/identity. You build it with a focus on one genre and each time you write another book within your identified field, you add loyal readers. 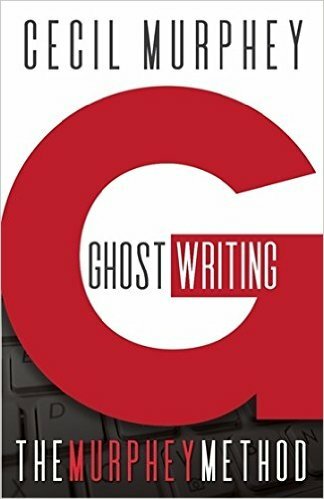 Although I’m an exception in that I cross genres within the nonfiction area, I’m primarily identified with ghostwriting and collaboration. That’s still within the nonfiction area. A couple of years ago I published 3 cozy mysteries and they haven’t done particularly well—certainly not in comparison with nonfiction books under my own name. Readers don’t follow writers when they depart from their identifiable area. Few writers cross the line successfully with both fiction and nonfiction. If you feel you want to widen your range, build your reputation in one genre. After you’re established you might try to expand. John Grisham and James Patterson have both published a nonfiction book within the past three years. They did well because of name recognition—but nothing like the sales of their novels. Here's advice I've picked up from agents themselves. Learn about the agent before you make contact. For instance, Jeff Herman or my friend Greg Daniels represent nonfiction. Greg has a few novelists, but that's not his area. Some agents won't take on children's authors. Make sure the agent you want handles your kind of books. Find out how the agent wants you to make contact. A query letter? Email? Some want you to go to their websites and fill in the information. Those are the usual ways. I don't know any agent who wants phone calls. Work hard on the query. Don't try to make it sound overly dramatic; make it sound like you. If you've done extensive research for your book, include that information. Your query is a sales pitch, but make it honest and realistic. "If you take the writing of To Kill a Mockingbird and combine it with Catcher in the Rye, you'll have an idea of the quality of my book." That's bragging and will probably repel agents. I suggest you work on a précis or summary statement. I'll write about this in a future blog, but it's what we sometimes call the elevator pitch. If you're in an elevator and have 30 seconds to tell an agent about your book, what would you say? but first you have to sell the agents on you as a client. I'm a strong advocate for literary agents—and they've become so much a part of publishing that I may not need to say this—they do more than sell books. Good agents care about your career. They rarely seek a one-book author. They want to sign writers who will produce many books that they can sell and continue to sell. I've been with my current agent since 1997, and from the beginning of our relationship we talked about my career. "Where do you want to go?" was one of the first questions she asked. We talk at least a couple of times a year about my career. Good agents know the publishing world and are aware of trends or needs long before writers. It's not unusual for editors to contact agents with whom they've worked and say, "We're looking for a book about. . . "
Agents act as buffers. That is, they have the expertise in negotiating, and authors stay out of the situation until they're ready to sign the contract. If authors have problems with the editors, the agents become their advocates. And differences do occur. It's comforting to me to know that when I have a problem with an editor I can appeal to my agent. Editors move frequently. I read that the average editor stays 2.6 years. One editor may love your work but moves and her replacement may not and will make unreasonable demands—but you have an agent to stand up for you. agents make things smoother for writers. How do I get an agent? That seems to be the question and it's a good one. But having an agent is no guarantee of sales. It does mean a professional in the publishing business believes in you and your book. That's a great morale booster. My sources say that agents place 65 to 75 percent of their books. Beware of those who claim higher numbers. Agents receive 15 percent of your royalty. Unless it's negotiated differently, publishers send the royalty check and statements to the agent. The agent is responsible to ensure the accuracy of the accounting figures. My current agent has challenged those figures several times and won. It wasn't an issue of publisher dishonesty, but lack of understanding or ignorance. Every contract is different and sometimes the details get lost. So how do you get an agent? Find out who they are through writers loops; attend writers conferences; check web sites, or see Sally Stuart's The Christian Writers Market Guide, an annual publication. Writer's Digest puts out their Writers Market Guide each year. Most libraries carry the Literary Marketplace (known as LMP) in their reference section. Ask your friends who have agents. The AAR—Association of Authors' Representatives— is a voluntary organization of agents who subscribe to a code of ethics. They have an excellent website: http://aaronline.org/. Here's another tip. When I read books by authors I like, I read the acknowledgments and they often credit their literary agent. That's another solid lead. It implies that the agent likes that type of book and might be open to authors in the same genre. Before you start your search for an agent, make sure that your manuscript is the best you can make it. It's worth the money to pay an editor or a proofreader or both. The manuscript may look fine to you, but to a professional, it may not. be sure you're ready for one. Some writers don't have agents and often boast about it. That's fine, but most of them could get better royalties and other concessions through an agent. When I first signed with an agent around 1990, my agent insisted on things I didn't have the courage to ask for or the knowledge to consider. I'll give you a few of them. The most obvious is the royalty rate. Sometimes agents can negotiate that, but not always. They can, however, find other ways to benefit writers. For example, free copies of books. Most publishers grant 10 to 25 freebies, but an agent might ask for 200. (That's the number of free copies my agent asked for and received for my second book with Dr. Ben Carson, Think Big.) Not a lot of money, but I sold or gave away those books. Think of the importance of subsidiary rights. For example, I sold Gifted Hands before I had an agent. The original publisher was Review & Herald. They published the book in hardback, and sold the subsidiary rights to Zondervan. The book has remained in print since 1990 in hardback, soft cover, and mass paper. HarperCollins picked up the mass paper edition and sold 90,000 copies. The downside is that Ben Carson and I receive only 50 percent of the royalties from Zondervan and HarperCollins. Standard contracts give the original publisher 50 percent of the royalties paid by the subsidiary publisher. Despite that, Ben and I have done well, but we would have done better if we had known. Some publishers won't negotiate on the subsidiary rule and most of our books don't get picked up by another publisher. Even so, a good agent can sometimes get that 50 percent knocked down so the writer receives 70 percent. Another area involves movie and electronic rights as well as any other medium. When we sold Gifted Hands, Ben Carson insisted on retaining the movie rights. The publisher resisted but gave in and 19 years later, Johnson & Johnson sponsored a made-for-TV version with Cuba Gooding Jr.
Good literary agents know the parts of a contract worth negotiating. If you want to sell books to a royalty-paying publisher, you probably need a literary agent. But first a few words about royalties. A publisher contracts with you for your book, edits it, produces it, and distributes it and usually pays you a small percentage based on sales. That part is easy to grasp. What isn't simple is the way publishers figure royalties. Some base the royalty on the suggested retail price, others on the wholesale price. Publishers grant large discounts to Walmart, Costco, and other nonbookstore outlets. It's not uncommon for them to offer those outlets a 75 percent discount on the retail price. When that happens, the authors' royalty rates are lower. (And it's all in the contract.) Regardless, they pay royalties based on the net sales. That is, the publisher expects returned books, so it's not paid only on books sent to outlets. The royalty rates vary on hardcover, soft cover/trade, and mass paper. Some publishers, especially the large ones, pay royalties each quarter, some twice a year, and most of the smaller houses send out annual checks. They also send statements of sales—that's not always easy to follow and agents can decipher and demand clarification. That's another good reason to have an agent represent you. Serious writers who sell books need literary agents to negotiate royalties. "If I were you, I'd write a novel." "No, no, " he scolded. If I was you. I is singular. " "Yes, but I am not you, " I said. "It is contrary to fact, so you use the subjunctive mood." The almost-obsolete subjunctive mood (SM) lurks in our language and careful writers respect it. Please notice, we call it a mood; it is not a tense or voice, such as active or passive. You don't need to memorize this, but English has three moods: indicative, imperative, and subjunctive. The indicative mood makes statements and questions; the imperative mood commands or requests; the SM expresses wishes, desires, requirements, or conditions. The following sentences use the subjunctive mood correctly. · If she were rich, would she be kind? · The defense attorney asks that he testify [not testifies] Monday. 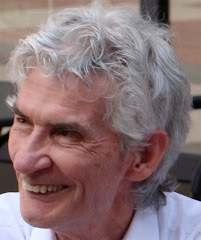 · Unless the weather were to change, we'll have our annual picnic tomorrow. · He yelled as if the house were on fire. you usually need the subjunctive mood. Sometimes we get the emphasis by putting the significant words at the beginning of a sentence. That's the other power position. Any element in the sentence, other than the subject, becomes emphatic when placed first. We could say Thelma could never forgive lying. As constructed, the crime or sin receives the emphasis. Suppose, however, we wanted to place never forgive in the power position. We would write: Lying is something Thelma could never forgive. Here's an illustration that shows how we choose what we wish to emphasize in a sentence. 1. 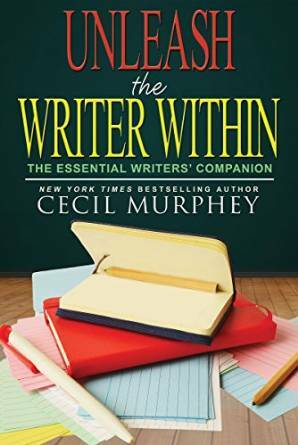 Cecil Murphey received a million-dollar advance from Penguin Books last week [not last year]. 2. 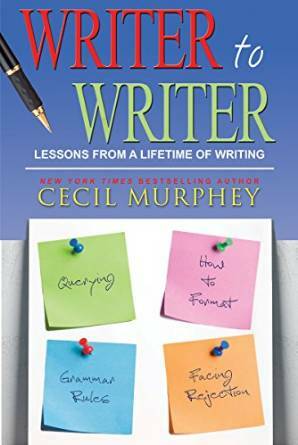 From Penguin books [not from Doubleday], last week Cecil Murphey received a million-dollar advance. 3. Penguin Books paid a million-dollar advance last week to Cecil Murphey [and not to someone else]. It's subtle. Most readers wouldn't get the difference between the four examples. That's all right because they don't have to understand the techniques. What readers grasp is that some people write better than others. and know where they want to place the emphasis. In a sentence, we actually have two power positions. In a straight, declarative statement, it's the final word—what we want to emphasize. Let's see how this works by referring to a piece of advice a professional writer gave me when I was still new in the publishing business. Or I could say this stronger: When I was still new in the publishing business, a professional gave me a piece of advice. Both are correct, but it depends on whether I want to emphasize publishing business or advice. Here's the advice she gave me, which will make this clearer: (1) If you're going to be a writer, you must be willing to walk naked down the street. (2) If you're going to be a writer, you must be willing to walk down the street naked. Obviously, the second is stronger. Down the street isn't important and carries no significant meaning, so we sneak such weak words into the middle of the sentence. Look at the title of this column again. Which is the more emphatic word? Is it Rule or Grammar? I put the titles in my preferred order but either works. Skilled writers know what they want to emphasize in a sentence. It's something we can learn.